We are quite excited to announce Technics as another fantastic addition to our carefully selected hi-fi lineup. Technics' history in hi-fi goes back to 1965 when Matsushita (Panasonic) introduced their first speaker under the high-end audio line "Technics"
Since then, the Technics name has been a mainstay in the audio world with such classic products as the SL-1200 turntable and more. In 2015, Technics introduced their current lineup of extremely high quality audiophile gear. The fit and finish of these new products is superb and the sound absolutely fantastic. We are proud to be one of a small group of elite dealers in the nation to demonstrate the Technics audio lineup. What's the difference between the SL-1200G-S and SL-1200GAE? We are taking pre-orders for the SP-10R and SL-1000R turntables systems. Please call for details. Premium and Grand class lines on active display our showroom. Northcoast Audio is proud to be an authorized dealer for the best names in home audio speakers today, Including Danish made loudspeakers from Dali and Dynaudio, Rega Turntables and KEF speakers from the UK, Revel speakers, JL Audio Subwoofers, The world renown American made Magnepan Magneplanar speakers as well as local favorites JBL and Boston Acoustics. We are proud to have the best selection of speakers in northhern California. 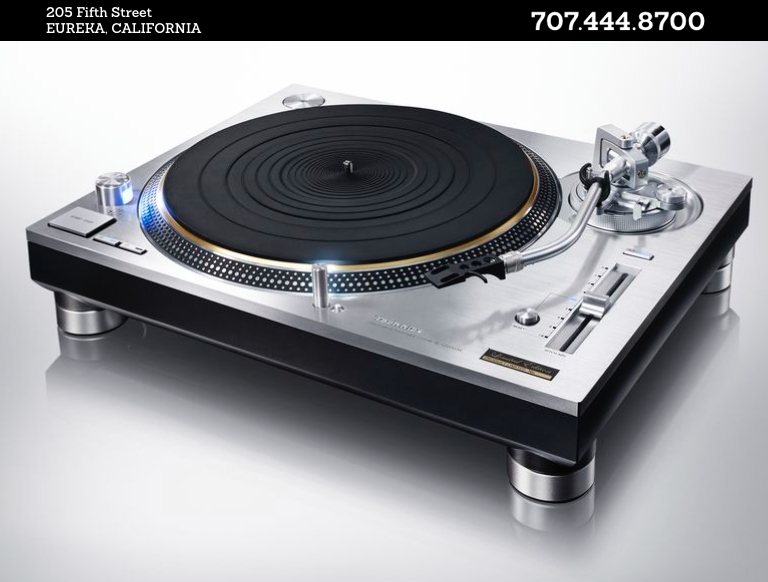 Now taking pre-orders for the Technics SL-1000 and SP-10 Buy local - support your local independent audio video specialist!